Why Invest in a Smart, Safe Home System? Our job here at Burns & McBride is to help homeowners save money by using energy as wisely as possible while making their home’s safe and comfortable. 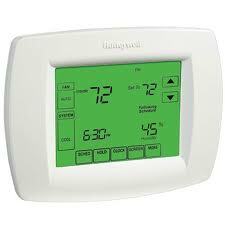 Our Smart, Safe Home system can make any HVAC system better. Take a look at these pie charts from the U.S. Department of Energy, the biggest chunk of energy consumption in the average U.S. home is devoted to heating and cooling systems at 43 percent. That figure represents a strong opportunity for us to effect change for our customers’ bills with smart thermostats. Eleven percent of all electrical consumption is devoted to lighting. Obviously, lighting control can cut those bills. Finally, 7.4 percent of usage comes from electronics, so use of Energy Star components with low phantom power draws is another way to help clients. Take a monthly energy bill of $450 – what would savings of 15 percent in lighting ($6.66/month), 10 percent in electronics ($2.96/month) and 16 percent in HVAC ($30.96/month) be over time?